Seo tips listed here would make your website search engine friendly and allow you to capture even more organic search traffic than before. Many webmasters remain frustrated due to the ongoing changes happening on the Google ranking algorithm. Blame it on Panda's or Penguin's but Google would continue to take the help of these animals in order to reduce the amount of web spam. So, how can you make your website Google friendly or in other words search engine friendly? The answers lies in implementing the top 50 seo tips mentioned ahead in this post. These proven seo tips would make your site more relevant and authoritative in the eyes of Big G.
Url rewriting is an important aspect of search engine optimization. It becomes easier for the search engines as well as for the user to determine the contents of a web document if it has a relevant url. Suppose, a web document displays varieties of birthday cakes then instead of having urls like bc.html, ?id=78 etc. you must have a url like birthday-cake.html. Always keep the user in mind while designing and developing a site. If you are able to gather the love of the user then the search engines are bound to give importance to your site. Each and every web document must have unique title and meta tags containing the keywords which you want to rank for. Keep in mind, do not overuse the use of keywords or else Panda penalty could be applied soon. Keyword research is an important element of a successful search engine optimization strategy. The success of a seo plan depends on the kind of keywords you choose to promote your business. Make use of keyword determining tools like Google Keyword tool and Wordtracker to finalize industry related keywords. This is perhaps one of the most important seo tip and should not be done in a hurry. Since, the Panda update has been put into place, fresh content on the site has a tendency to boost up the search engine rankings. Hence, it is required to add quality, fresh and original content to make Google understand the importance of your site and to improve its crawl rate. This is one of the newest seo tips but should not be overlooked. The main content on your web document should be highlighted with the help of H1,H2 and H3 tags. These tags hold a special value with the search engines and content present inside these tags are valued highly. If you are planning to launch a site with the motive of selling Pancakes then having the keyword Pancakes within your domain should help your site rank better. But make sure it should add a brand value to it and should not comprise only of keywords. For example rachelspancakes can be a good domain while buy-pancakes-online will not be. Read about the EMD update before finalizing any doamain. Always link to inner pages within your content as this helps to properly pass on the link juice. While building backlinks to your site, follow a diverse anchor text pattern and use brand name as your anchor text. Promote your site as a complete brand in seo. Build backlinks using brand names as your keyword, create social profiles on popular social channels under your brand name. One of the best navigation structure which you can implement on your site is the use of breadcrumbs. Have both the versions of sitemaps on your site. Sitemap.html is created specifically for the users and sitemap.xml is cerated specifically for the search engines. Impement social sharing widgets for easy sharing of web content. This helps to share your content on popular social channels helping to popularize your content and get referral traffic as well. The days of building backlinks through the use of reciprocal linkbuilding, content spinning are gone. It is better not to adopt to unnatural link building practices and keep your site safe. Competitor analysis is another important step to make your site stand apart from your competitors. Make use of tools such as Alexa, Semrush, Opensiteexplorer etc to properly analyze the popularity and power of your competitors site. Seo tools are seo's best friend. He/she must possesss a wide variety of specific functionality seo tools to ease the work they are doing. A set of free seo tools can be extremely useful. Content has been rightly said as the King of Web. Every user is looking for content while searching in the search engines so having quality and original content which answers the users query well is the kind of content which you must have in your web document. Take the help of Google Webmasters Tools and Google Analytics Tools to correctly track and analyze the bounce rate and clickthrough rate. TF-IDF score should be analyzed before seo copywriting in order to defeat your competitors under the relevancy metric. Create your company profile on Facebook, Linkedin, Twitter, Pinterest, Ning, Crunchbase etc. Local business listings have a lot of power to pass on local relevancy value. Use local web directories like Yelp.com, Yellowpages.com, Whitepages.com etc to make your site locally relevant. While doing your keyword research focus on getting rankings on keywords locally relevant to your business. Keep outbound links from your site to a minimum and link only to quality and relevant sites. If you are adding text advertisements then add no follow attribute to all outbound links. Press Releases are a great way to promore your website and get the publicity you are looking for. Sites like prweb.com can spread the word for you. Create a blog for your site and add quality and fresh content on it regularly. Blogging for Seo can provide a lot of advantages. Authority sites like government sites, educational sites and popular niche sites that already have a high trust rank and pass on a high trust and domain authority. Add Google Authorship on content created by you and work towards increasing your author rank. Content written by authority authors within a niche have potential for ranking high on the search engines. Content curation sites like scoop.it, bundlr etc. have taken the place of article syndication sites. The new seo strategy must have a place of content curation. Genuine businesses have a Google Places Listing so create a Google places listing for your business and work towards getting positive review from customers. Build partnership with sites in your niche, sponsor some events, offer something for free and get publicity in return. Never indulge in link buying and selling activities as these can apply a heavy penalty on your site resulting in complete loss of search rankings. If you have received an unnatural link building notification then use the Disavow links tool to remove all the unnatural links pointing to your site. Navigation plays an important part in having a user friendly as well as search engine friendly site. Maintain a clear navigation using text links to link to the important pages. Your site must be running 24 hours. If there is any technical fault then try to remove it as soon as possible. Google Plus ones is one of the factors to judge the importance of content so try to have lots of plus ones for your content. This seo tip is specially for ecommerce websites. Allow for user interaction in the form of comments and help your audience choose the best. Image optimization helps in reducing the loading time of your so this seo tip should not be ignored. Desktop search is decreasing and mobile search is increasing. Have a mobile version of your site to keep your mobile audience happy. Read more about Mobile Seo. Make use of the rel canonical tag to solve duplicate content issue. This seo tip comes handy for ecommerce sites which have a feature of searching with the help of product name, product price, brand names etc. but the products(content) remain the same. Having rel canonical tag implemented for these pages helps to resolve the duplicate content issue. Have a single url for your main site. Use 301 redirects in order to preserve the full Google juice for your main url. Google values the loading time of a site and promotes those which have a lesser loading time. Boilperplate content is the content which is present on each and every page. Decrease the amount of boilerplate content and keep your site safe from the Panda penalties. Ask questions to yourself- Is your site popular enough to receive positive reviews? Are your consumers not afraid of making online purchases? Is the content presented on your site trusted? If the answers are yes, then your site has good chances of ranking well within your niche. Make use of Google Analytics to track the amount of likes and tweets your site's content is getting and find out the pages which are getting too much of user attention. Tracking the number of likes and tweets helps you to plan out your strategy accordingly. Penguin penalizes websites having multiple pages focused on the same topic but with slight variations. Take the help of robots.txt in blocking pages having too much of similar content. Now the time has come to earn not only relevant backlinks but also relevant citations. Cocitations has been considered as a factor under the Google's ranking algorithm. Link baiting requires proper planning and implementation and it is one of the toughest task for a search engine optimization strategist. Having a higher domain authority can make your site stand apart from your competitors. You can increase the domain authority by getting backlinks from higher authoratative sites. 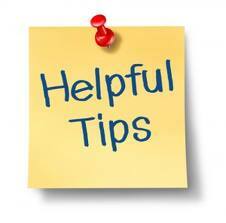 Make sure to follow search engine guidelines while implementing changes and promoting your site. Use robots.txt to block secret pages. Find out broken links, duplicate content pages and 404 pages. These elements adds to a bad user experience and are approached negatively by the search engines.